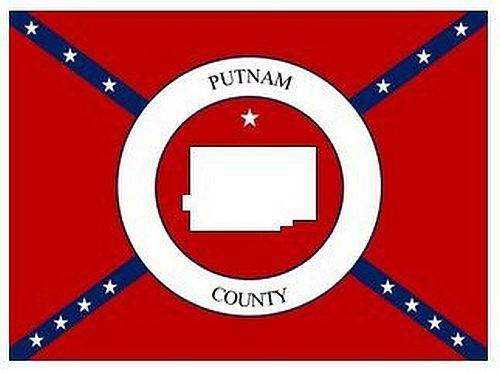 OTTAWA — Mediation in the Road 5 lawsuit in Putnam County is set to begin at 9:30 a.m. Tuesday in the Putnam County Courthouse Assembly Room and continue through Wednesday. In 2012, the Putnam County commissioners began a project to widen Road 5 by 10 feet on either side. Numerous accidents occurred on Road 5 because the roadway was too narrow and had no shoulder. Road 5 was so dangerous Schroeder said he told his daughter to avoid taking the road when she could. Before the project began, the commissioners made Road 5 residents offers for the portions of land they would need to expand the roadway, and around 80 percent of those offers were accepted, Schroeder said. Linde Webb, a Toledo-based attorney representing the group of 13 Road 5 property owners involved in the litigation, requested the Putnam County Commissioners be required to pay additional attorney fees which were not added onto the original attorney fee request made in 2017. Eminent domain law states when cases are invalidated, which the Road 5 cases originally were after an appeals court ruled in the residents’ favor, the defendants should have their legal fees paid for, she said. The court has yet to make a ruling on that hearing. For this mediation retired Judge Peter Handwork will act as mediator. While both sides can state the legal reasons for their positions, no witnesses are called and no testimony is heard in a mediation. The ultimate goal of mediation is for both sides to reach a compromise to end the case without going to trial. Webb requested the current mediation as a response to the commissioners filing a new case against her clients after an appeal caused the old cases to be dismissed. The new case filed against the Road 5 residents uses the old 2011 survey data for each property which is a violation of the law, Webb said. New surveys of the property are supposed to be performed every two years in these cases, and a new survey should have been completed before the new case was filed, she said. Schroeder and Webb both said they were hopeful this mediation could end with the Road 5 landowners and commissioners finding a compromise to end the litigation which has been going on for years. Schroeder said any compromise would have to be fair for both sides. A fair compromise for the Road 5 landowners would be compensation for the property used to expand the roadway, with offers from current surveys and not 2011 surveys, and compensation for trespassing from when construction began to the present, said Webb. Putnam County Prosecutor Gary Lammers did not respond to requests for comment. This entry was tagged road5. Bookmark the permalink.